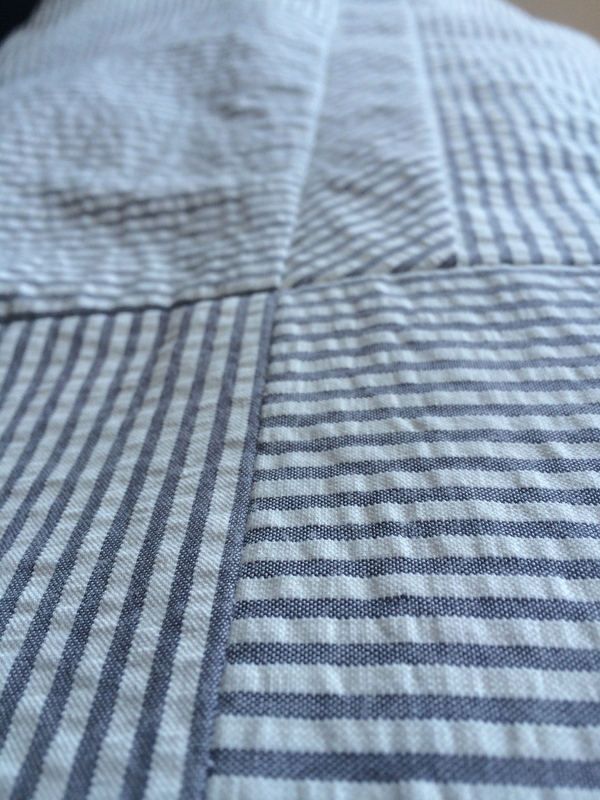 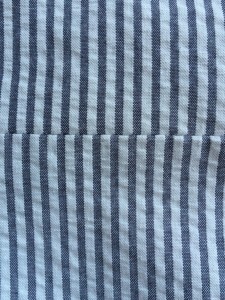 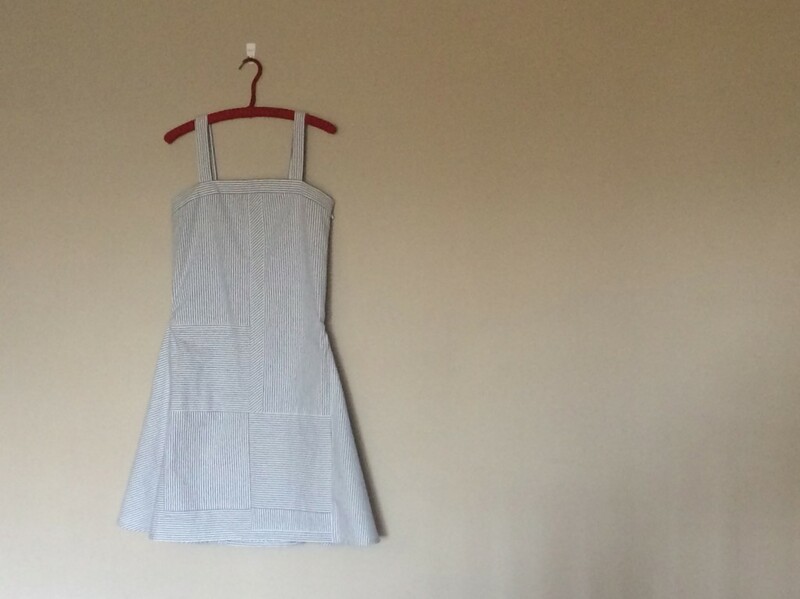 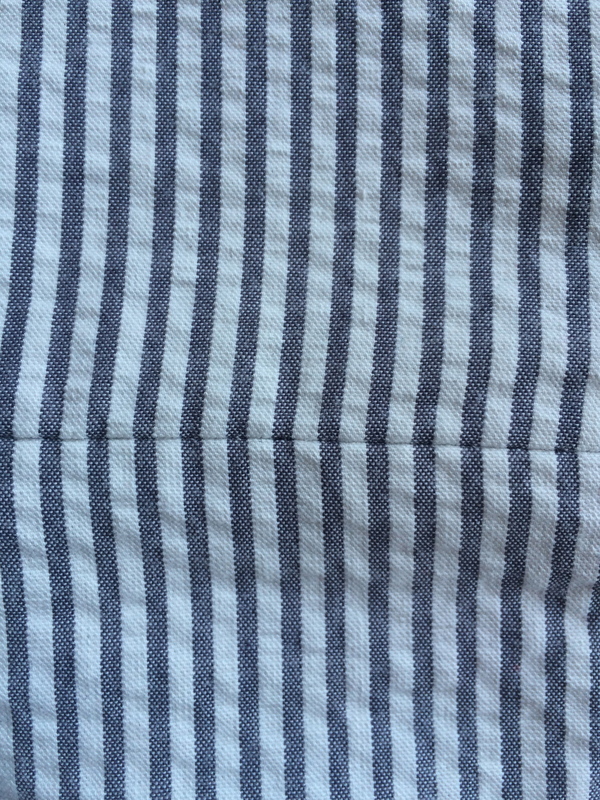 The fabric is a light beautiful grey & white cotton seersucker. 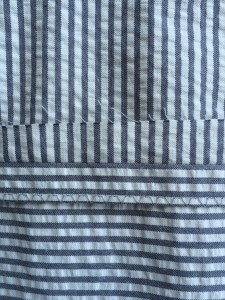 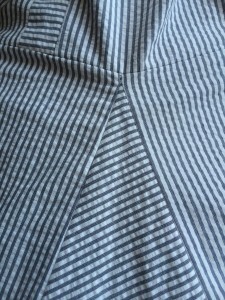 Seersucker is a puckered, thin, summery fabric, which is why the fabric of the dress is all ripply. 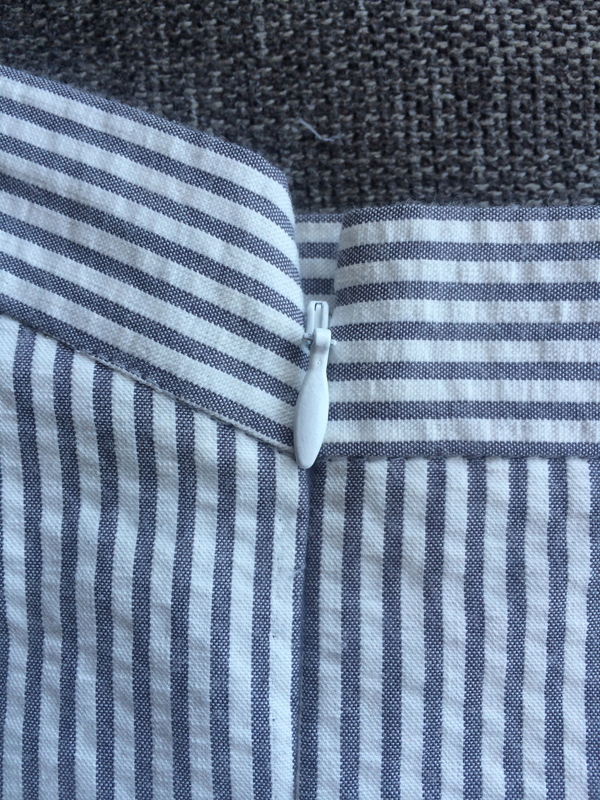 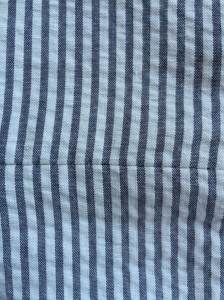 I included an invisible side zip, and I’m over the moon happy that the stripe matched up across the zipper. 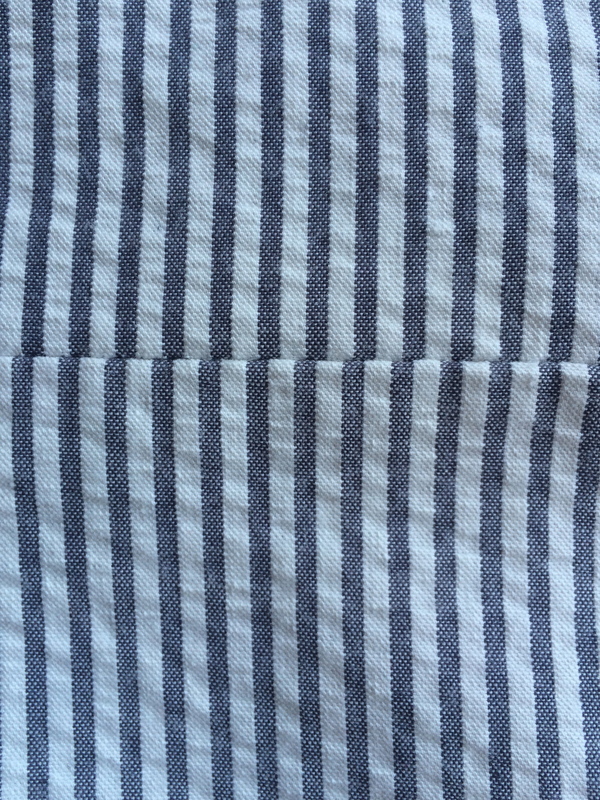 Not all the stripes match up perfectly. 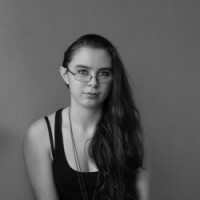 But most of them do, so I’m calling it a win. 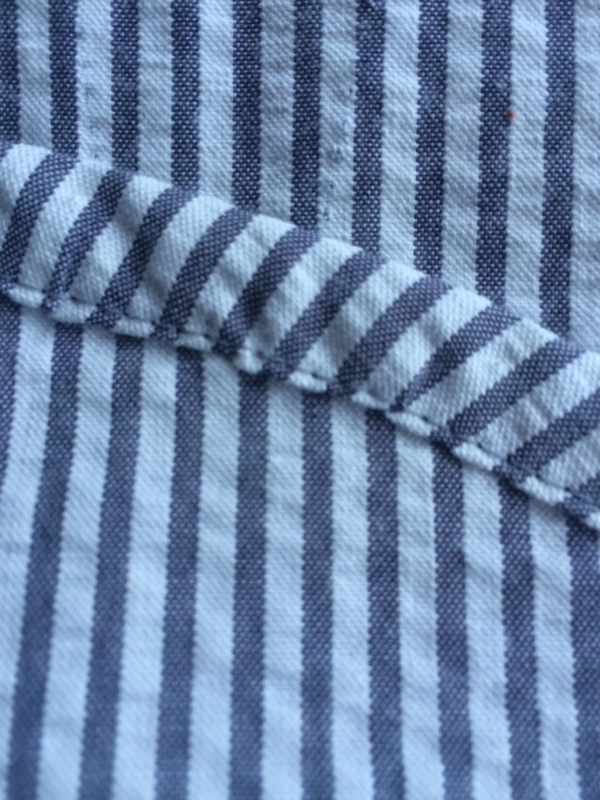 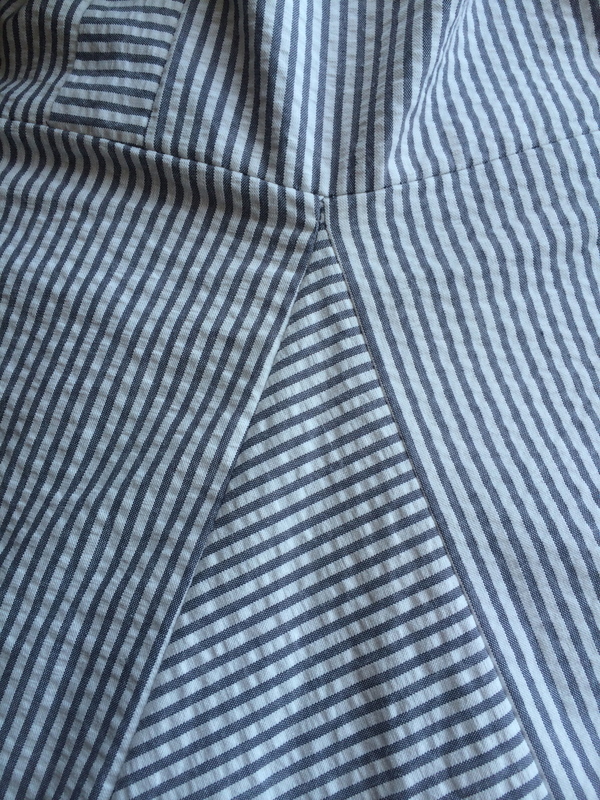 I did a simple half inch rolled hem. 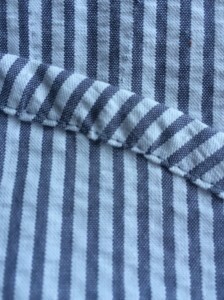 And there’s still some scarring left over from all the times I had to rip the dress apart, but I think I’ll be able to get that out. The dress is made up of straight panels with triangular godets (inserts) to give the dress fullness and flare. 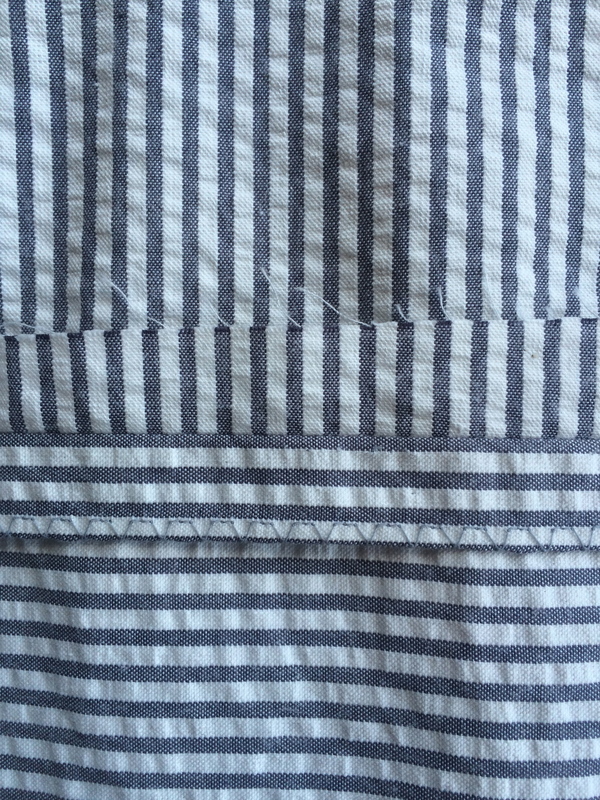 And I finished my seams with the overlock stitch on my Bernina.